As I pointed out recently, winter is coming. Inclement weather and the urge to hibernate can mean an increase in time spent chilling around the house. Well, hopefully not literally chilling because who wants to be cold. Warming, then. So when I'm just hanging out and warming at home, I want it to be a pleasant environment. Icy cold weather means less opportunity to throw open doors and windows for a good air out and that can lead to a stuffy and - heaven forbid - even stale ambience of comfort food cooking smells, socks and damp laundry drying in front of the heater. Airflow is obviously important but how about something a bit next level like a fresh scent and appealing visuals to lift your mood on a grey day. Something like, oh, I don't know, a decorative candle? If you're on a budget, dropping big dollars on a scented candle is not going to go down well. However, you can obtain such a thing at your local supermarket during your weekly grocery shop, and everyone knows if it's on the grocery receipt, it's a neccessity and certainly not any kind of indulgent homewares shopping extravagance. Don't be ridiculous. Have a look at this Air Wick Multicolour Silhouette candle. This is quite nifty. The candle sits in a jar with a silhouetted scene that comes to life in gently glowing colours that change as the candle burns. Isn't that soothing? This particular scent is Amber Mandarin Glow, a breezy reminder of summer during the winter months. If you're after a more traditional scented candle, then the Decorative Jar may be more your thing. This variant in Sweet Summer Fruits is a light, zingy and refreshing scent that is perfect for my bathroom and feels genuinely invigorating. As a small but important point of interest, the label peels off easily for a more elegant appearance. You can find Air Wick candles and assorted other air freshening products in your local supermarket. Sneak one into your trolley during your next shop! These products were kindly provided to me for review. For more information, please see my PR and Media policy. 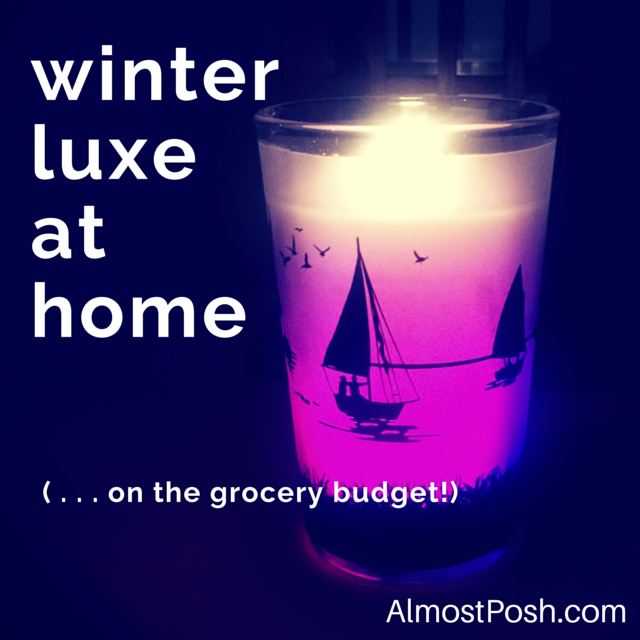 Definitely an affordable way to enjoy a good quality scented candle! very pretty, that's some impressive technology at work there making the colours change ! mother's day is coming up too...might need to check 'em out ! I know, Jen - it's like light the wick and pop! up come the colours through the glass. Very fancy. My daughter is fascinated by these candles. She can sit transfixed staring at it change colours for ages! Love that silhouette scene - super cute! Apologies, I spelt your name wrong. Stupid small phone screen! My sister and I spent some time trying to figure out the light up candles. How do they do it?? The candle section in the supermarket has been quite tempting of late. I think there is some sort of LED light in the base that is activated once the wick is lit, it's very clever! I agree, I'm always looking for a good candle deal at the shops, love a two for one or half price offer!